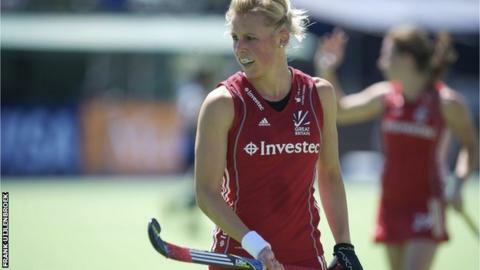 Alex Danson scored the only goal as Great Britain beat Spain in the first of three matches against Spain. Skipper Danson, 29, scored the 48th goal of her career with Great Britain holding off a late fight back from Spain to secure the victory. The mini-series is part of preparations for June's Hockey World League Semi-Final, where Olympic qualification is on offer. The second match takes place on Wednesday, with the third on Friday. The three matches are taking place at Valencia's Polideportivo Virgen del Carmen Betero, the same venue where the Hockey World League Semi-Final takes place. Great Britain head coach Danny Kerry said: "It wasn't a great performance from us, Spain could have easily won and we rode our luck at times. "These test matches are so important for us to develop the squad and ensure the less experienced players get to play at the very top level before we go into major tournaments. "I'm confident we'll get better over the next two games."